To learn little bit more about the history of the Boyer Barn and the farmland there, I spoke with Freeman Boyer. This year's Preservation Field School Project is to install new cedar shake shingles, using historic construction techniques, to the roof of his barn. The structure has been in continuous use since the 1860's, and hopefully with this community restoration work, it will stand for another 150 years or more. Here is what Freeman had to share. Hugh Crockett came here in 1862 and staked out a claim of 160 acres under the Oregon Land Act. He married Rachel Bond. Hugh Crockett was the first sheriff of Island County. He then sold his claim to Captain B. F. Loveland. Loveland sold it to the Kaehler family. They sold the land to James Huston after many years, in 1942. James Huston, however, was not much of a farmer and did not have aspirations to devote his life to working this piece of Crockett Prairie. In fact, as Freeman tells it, Huston only bought the land as a way to avoid being drafted for WWII. Thus, he sold it only two years later to Freeman Boyer Sr. in 1944. Freeman Boyer started working on the farm as a young boy and took it over and farmed with his father until he took over the operation. When I asked Freeman what they farmed, he said matter-of-factly, "We farmed just about anything we could make a nickel on." This meant they grew barley, wheat, and various vegetables. 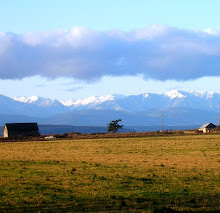 They also raised sheep and would rotate both crop fields and sheep pastures. While the sheep were on a particular field, they would eat the grass, but they would also fertilize the soil for the next round of crops that would be planted there once the manure was tilled into the topsoil. 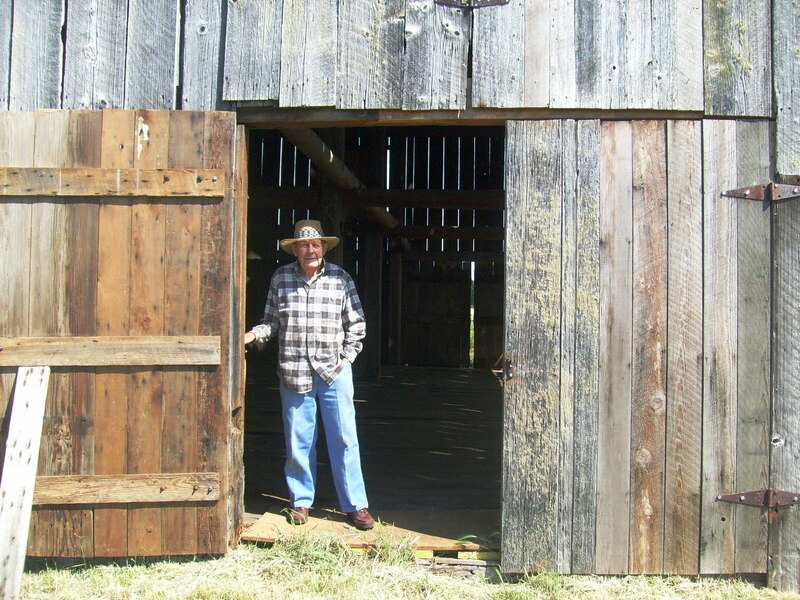 Going into the barn, Freeman pointed out that the barn was constructed entirely without nails. Instead, the hand-hewn beams were fitted together using a tongue-and-groove technique. The barn used to have a second-floor loft for storing loose hay before they used bales. Now the barn is open from the wooden floor all the way to the roof, but the beams that supported the second floor are still intact. Bales could be stacked much higher and did not need the same air flow that piles of loose hay did, so the loft was no longer necessary. 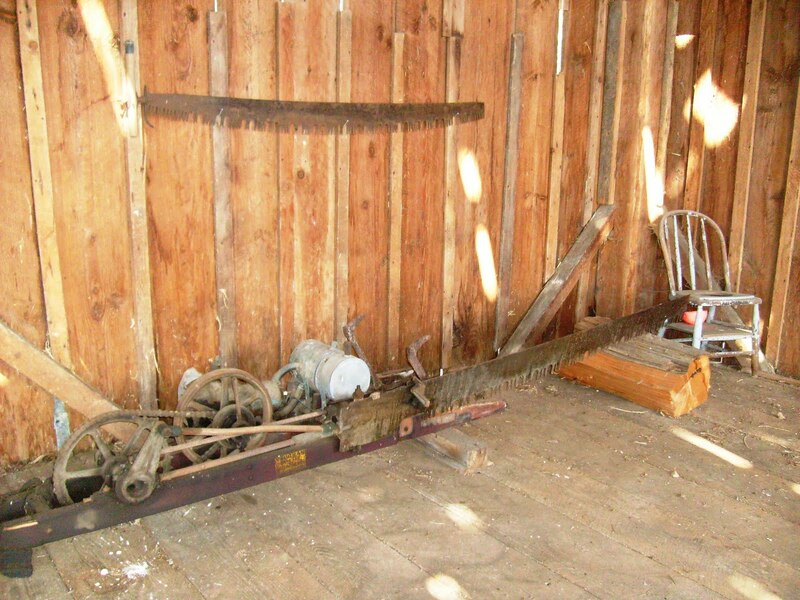 However, the original hay hook still hangs in its track on the ceiling of the barn. The other piece of machinery that sits in the barn, no longer in use, is the floor saw. It is the predecessor to the modern chain saw and has a seven-foot blade and a one-cylinder motor for cutting logs. Two people could move the heavy saw. A Modern Take on Historic Barn Raising!